The case began as a simple low speed accident with minimal damage to both vehicles involved. It quickly escalated and soon the plaintiff was making a claim for $250,000 in damages to pay for a neck surgery. Joshua Hayward successfully defended the insurance company, and the plaintiff walked away empty handed. The defendant hit the plaintiff’s vehicle from behind while traveling at a fairly slow speed. 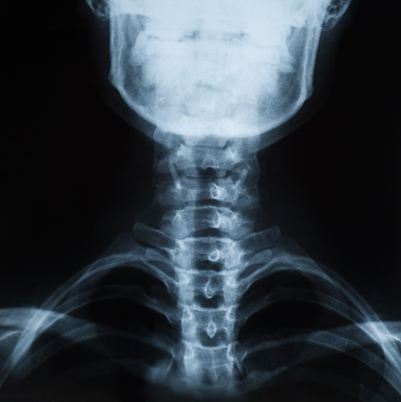 Prior to the accident, the plaintiff had a history of neck pain that radiated into her arms. She claimed that the accident aggravated these symptoms, making them constant and more severe. For several months she received chiropractic treatment, and then she decided to have a neck fusion surgery. The surgery was performed by a doctor who has a reputation of performing a lot of neck fusion surgeries. Medically speaking, the surgery was a success, and the plaintiff’s symptoms went away almost completely. After the surgery the plaintiff filed a claim against the man who hit her. His insurance company paid $50,000 to settle the claim. The plaintiff did not feel that $50,000 was enough money to pay all of her medical bills (she had $115,000 in meds alone) so she made an Underinsured Motorist (UIM) claim against her own insurance company for $250,000 (the policy limits). Josh stepped in to defend the insurance company. The man who actually hit the plaintiff was upset that his insurance company had to pay $50,000 for such a minor accident. Due to this, he was quite willing to testify at arbitration regarding how little damage actually resulted from the accident. To back up his story, Josh also presented evidence from an accident reconstructionist and a biomechanical engineer. Another heavily disputed aspect of the case was whether or not the disc protrusions (which were the reason for the neck surgery) were caused by the accident. A practicing orthopedic surgeon testified for the defense that the disc bulge was not related to the accident (and therefore the associated costs should not have to be paid by the insurance company). The three person arbitration panel held in favor of the defense. They ruled that the surgery was not related to the accident, and that the plaintiff was only entitled to a few months of chiropractic care and minimal non-economic damages. The end result is that the plaintiff’s insurer owed no UIM benefits and the plaintiff was forced to pay the expense of the surgery on her own.